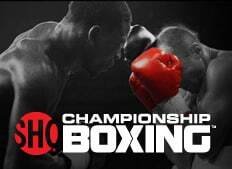 SHOWTIME® and DIRECTV® are giving you the opportunity to show your Bar or Restaurant customers the SHOWTIME® Championship Boxing Series! Take advantage of this offer and give your boxing fans this exciting action now! This boxing series features the world’s top championship fighters in the sport today. With 7 fights available for just one low price, this bundle is an incredible value for you and another great way to attract more patrons to your bar or restaurant. Through the DIRECTV MVP Marketing program, DIRECTV is giving you the marketing resources you need to promote Showtime Boxing in your bar or restaurant. Posters, Coasters, and much more is available.